Meet our best assets... our doctors and support staff. Its the people that make Rocky Mountain Animal Hospital Special! Dr. Jane Mohr grew up on a farm in Waukesha, Wisconsin. As a child, she was always around the family pets from dogs and cats, to horses and cows. She also raised orphaned robins and taught them how to eat and fly. She also loved it when the robins rode on the handlebars of her bicycle. Dr. Mohr always wanted to become a veterinarian, but her pathway and journey to achieving her goal is a long one. After high school, Dr. Mohr worked as a legal secretary and obtained her certification to become a paralegal. She moved to Boulder, Colorado and worked as a corporate paralegal for a few years and started back into college to pursue her long life dream. She attended the University of Colorado in Boulder and graduated with her bachelor’s degree in Biology, 2000. During her last year of undergraduate studies, she met and married her husband, Marty, a native of Casper, Wyoming. After graduating from the University of Colorado, she became a full-time resident of Casper, Wyoming. One year later, she entered veterinary school at the University of Wisconsin in Madison. Being one of the few non-traditional students, she had both her children, Danielle and Sydney, during her four years of veterinary school. 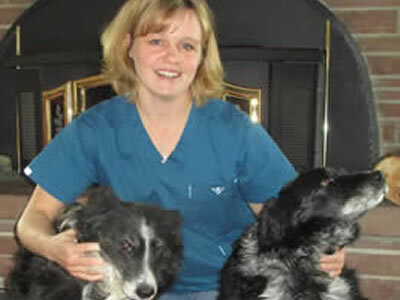 Dr. Mohr graduated from veterinary school in 2005, and the entire new family moved back to Casper. 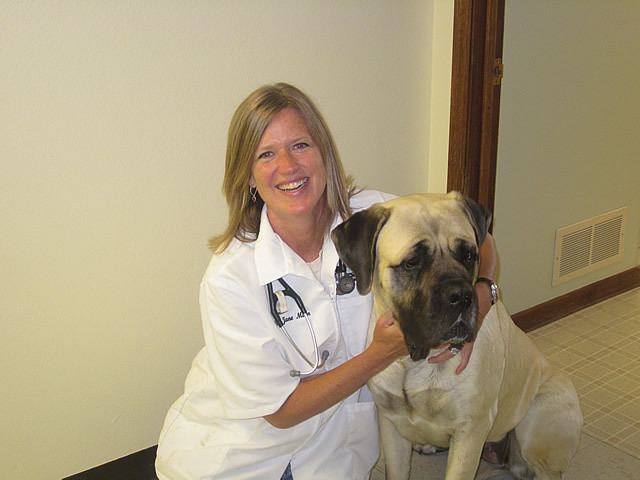 Dr. Mohr has been practicing veterinary medicine in Casper since 2005 and takes special interests in preventative health, internal medicine, surgery and dermatology. In her spare time, Dr. Mohr and her family love to spend time outdoors with the family and numerous pets. She likes to take walks, bike ride, garden, travel, and do crafts with the kids. Dr. Mohr especially likes it when her little girls come to work and tell her that they want to be a veterinarian when they grow up. Dr. Kelli McCluer is originally from Interior, South Dakota. While growing up she also lived in southern Colorado and western Wyoming. Dr. McCluer graduated from Kemmerer High School in 1996. After attending Sheridan Community College and Colorado State University she was accepted to Oregon State University College of Veterinary Medicine. Dr. McCluer graduated from OSU in 2002 and returned to Wyoming to practice in Laramie. She has also practiced in Ft Bridger and Glenrock. Besides veterinary medicine she enjoys spending time with her two daughters Rana and Riley. They have 2 cats, 2 retired cow dogs and a horse. Dr Angie O'Hearn is a native of Casper. She earned her undergraduate degree in Biology after studying at Casper College and the University of Wyoming. 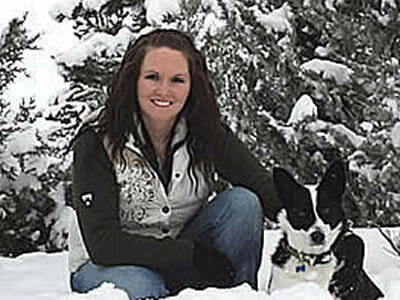 In 2009, she received her DVM from Colorado State University. After graduation, she completed an internship in Emergency and Critical Care. Her professional interests include Emergency Medicine and Pain Management. In 2014 she became certified in Veterinary Medical Acupuncture and looks forward to helping treat arthritis and other orthopedic injuries with this modality. When not working, she enjoys spending time with her husband, two children, and two dogs. They love the outdoors, camping, gardening and traveling. Chris Fowler was born in Huntington, New York and moved to Casper when she was 10 years old. She graduated from Natrona County High School in 1986 and then from the University of Wyoming in 1993, with a Bachelors of Science in Wildlife Management. She started her veterinary experience in 1995 as a kennel technician and has been working in the field ever since. Chris is Rocky Mountain Animal Hospital’s Veterinary Technician and Office Manager. She has 3 beautiful children, Ryan, Brittney and Allie and a wonderful daughter-in-law Casey. Chris is also a proud grandmother to Ryan & Casey's son Wacey. Chris and her family love to spend time outdoors. They enjoy outdoor activities, hunting, fishing and camping. She enjoys spending time on Ryan and Casey’s ranch. They also spend a majority of their summers at Alcova Lake with friends and family. Jackie Breed, CVT, grew up on a small farm outside of Casper. She raised a whole plethora of animals from horses and cows, to pigs and chickens, and even a few snakes. Growing up she showed horses and pigs in 4-H, and still to this day occasionally rides her Shetland Pony “Betty Lou,” who is as old as she is. Jackie graduated from Kelly Walsh High School in 2006 then continued on to pursue her Veterinary Technology degree at Eastern Wyoming College. In her free time, Jackie enjoys being outdoors with her husband, Zach and daughter Cassidy, hunting, fishing, camping, and riding horses and motorcycles. She stays busy at their house in the country taking care of their dogs, cat, pygmy goats and chickens. Was born in Casper, WY and is the daughter of Chris Fowler. She graduated in 2015 from NCHS and is currently attending Casper College. She is seeking a degree in psychology and transfering to UCCS in the fall of 2018. We will miss her when she leaves but we are so happy she is persuing her passion. Brittney enjoys spending time with all the boarders at the clinic and helping wherever is needed at the clinic. On her free time she spends time at her brothers ranch and out at Alcova Lake. Was born in Casper, WY and is the youngest child of Chris Fowler. She graduated from NCHS in May of 2017. She is attending Casper College with the goal of becoming a personal trainer. Allie has been playing basketball since 6th grade for both the school district and travel ball. She played her final year as a NC Filly. Allie loves being a part of the Rocky Mt team and being in the front to help you with all your needs. She also enjoys spending time on her brother’s ranch and summers at Alcova Lake. Lisa grew up in Glenrock and graduated high school in 1992. Her passion is animals and she grew up surrounded by cats and dogs. 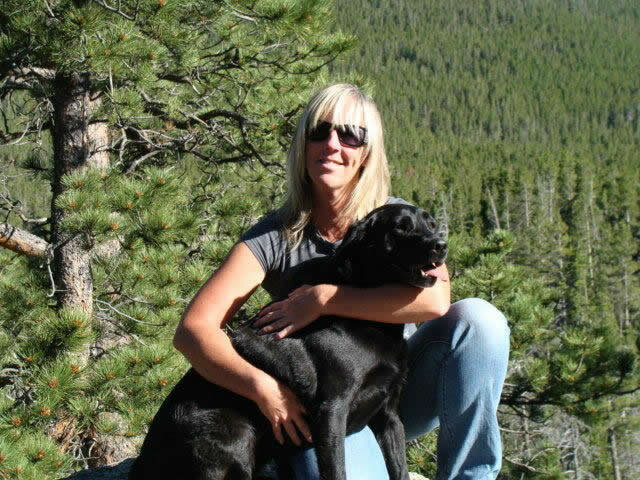 She started her career as a kennel tech in 1998 and has worked at a few clinics in town. We are glad she set her roots at Rocky Mt Animal Hospital. While your dog or cat boards at our facility, you can rest assured that they will get unconditional love and plenty of attention from Lisa. Lisa has 1 dog and 2 cats of her own. When she is not spending time with your animals she is at home with her own. Rocky Mountain Animal Hospital has partnered with PetDesk to make it easier than ever to request an appointment. We our proud to be of service to the Casper area community with current veterinary science and medicine. If you have an emergency call 307-472-5105. Rocky Mountain Animal Hospital offers 24 hour / 7 days a week emergency services. We are available weekday evenings, weekends and holidays for emergencies. © Rocky Mountain Animal Hospital. All Rights Reserved.